Breatheasy® 99% solvent free formulation. Virtually odour free and has a contemporary non-reflective matt finish. Can be used on internal walls and ceilings. Time to recoat approx: 4 hours. Approx coverage: 14m2 per litre. 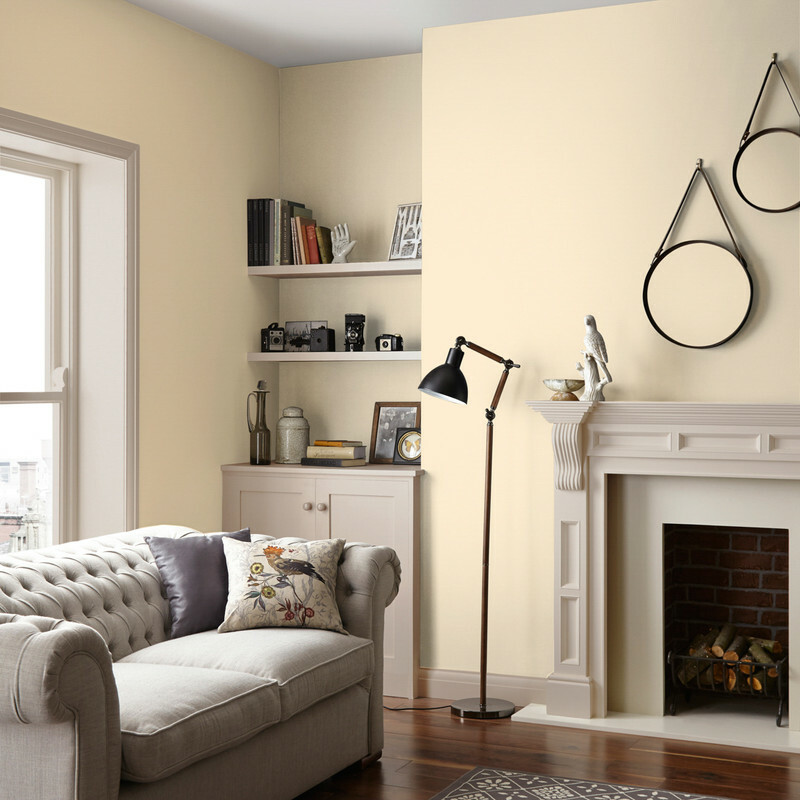 Cream Pure Paint Sample Pack available 81454 . 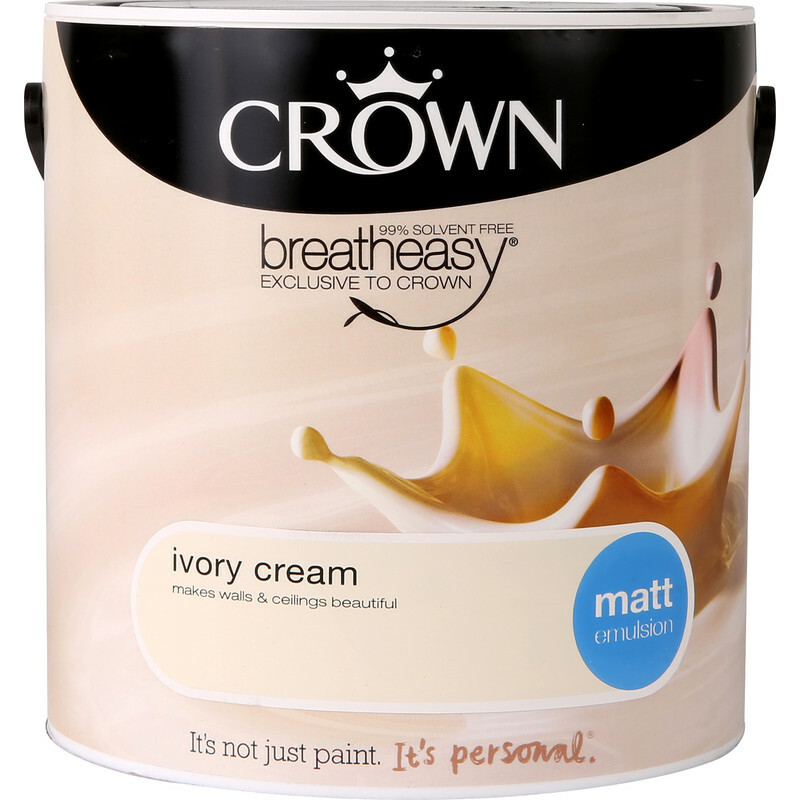 Crown Breatheasy Matt Emulsion 2.5L Ivory Cream is rated 4.6 out of 5 by 13. Rated 1 out of 5 by Lily29 from Horrible to apply! Sorry but I wouldn't recommend this product it was horrible to use and took ages as it was very blobby,, coverage patchy and it had to be gone over lots of times. I don't have any issue with Toolstation who's service was very good but the paint wasn't! Rated 5 out of 5 by Paula1 from Good Coverage A good reliable paint which covers slightly darker tones underneath extremely well. Would use again. Rated 5 out of 5 by Clive W from Good coverage Bought this to spruce up lounge as we have this colour on walls already. Was really pleased that it covered very well with 1 light coat and blended in with existing paint which must have been up for over 6 yrs. Rated 5 out of 5 by Freddysalted from Seamless Purchase Crown Emulsion seems to have dropped off the radar recently so it was a relief to see that Toolstation still stock a few obscure shades. Can not fault the service, the home delivery arrived smack bang in the middle of the allotted timeframe. Rated 5 out of 5 by DdaveH from Good coverage, even finish. Used this paint for a few years now. Covers well, dries quickly and evenly. Difficult to source, several shops sold out, but toolstation had it and delivered free. Quick service, good price. Rated 5 out of 5 by Crantock from Great, speedy delivery at no extra charge Found the paint colour online and ordered. Delivered next day at no extra charge, I only rang the order in the previous afternoon. Took a while for the assistant to find it, pleased I’d looked first otherwise I think she would have said it wasn’t available. Overall impressed, definitely use again.